The pink line resembles the beautiful thread of fate. 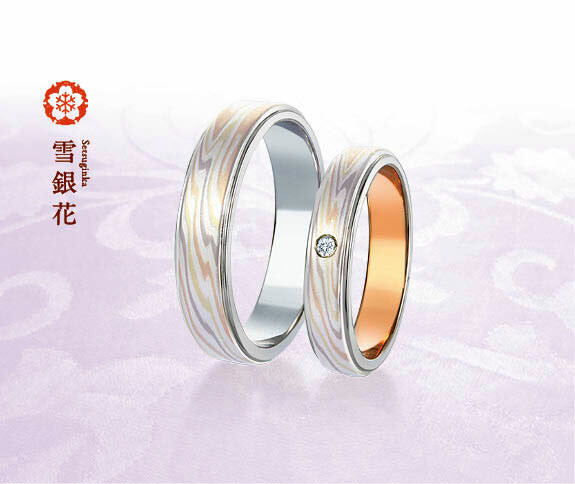 Their bonds will be tied by sharing a mokume pattern. 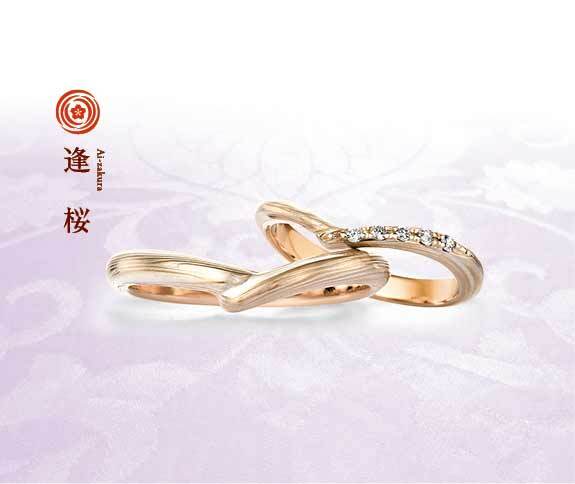 The curved ring is like a light wind that curls around your finger comfortably. 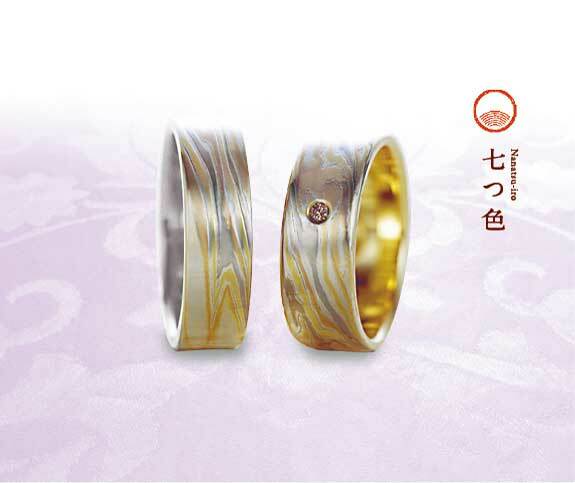 The wave of the mokumegane pattern creates a beautiful color swirl. 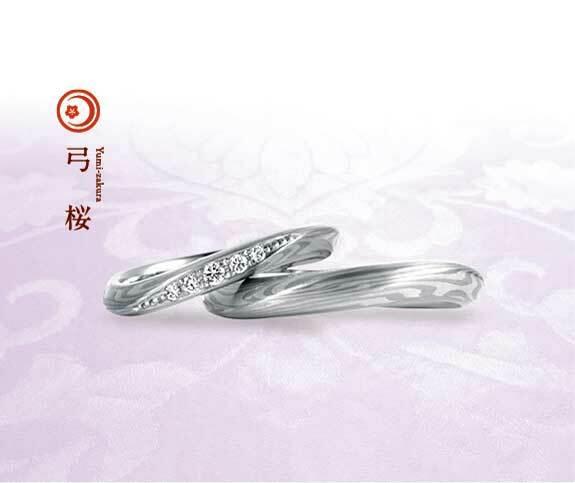 “Spinning a story together” The slender V shaped lines make your finger appear even more beautiful and elegant. 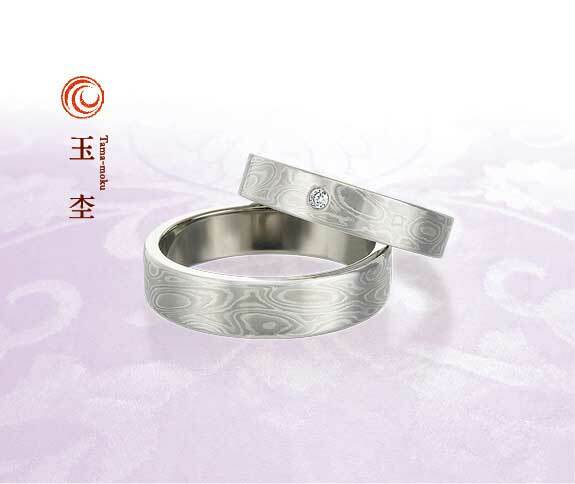 The two rings nestle together snugly. This design represents the reflection of bright moonlight. 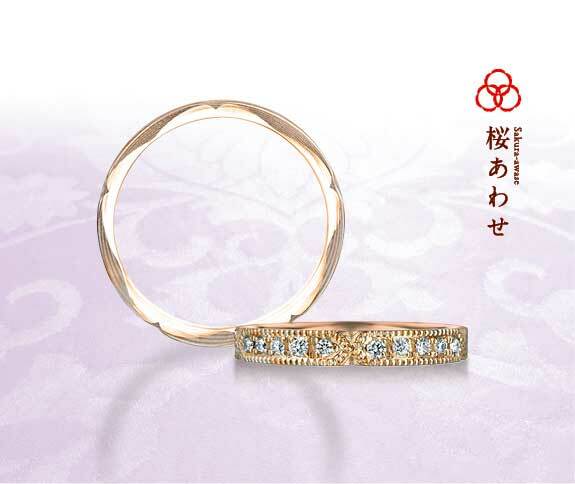 The diamonds will sparkle gracefully on your finger. 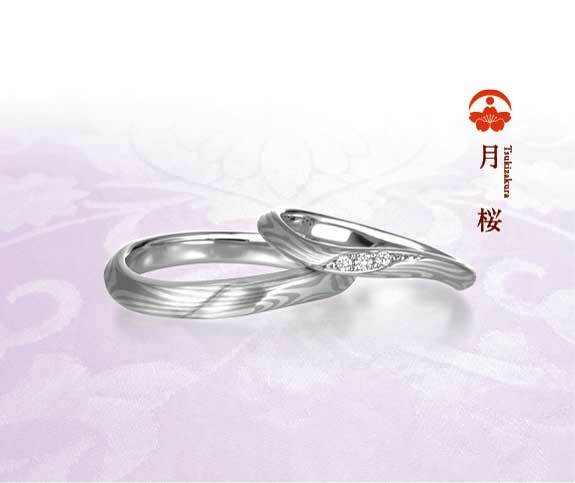 The Sakura (cherry) motif that is carved on the side of the ring by expert craftsmen is like a secret Sakura that only you can see, a link between the two of you. The multiple layers can be seen within the graceful curve of the lines. This modern design is well-adapted to everyday use. 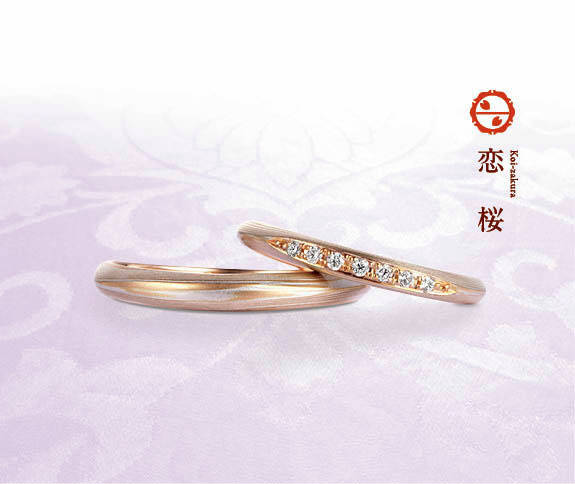 Designed to express the conjoining of two people for eternity. The diamonds sparkle beautifully on the curved ring. The gentle sparkle of diamonds on a simple ring. 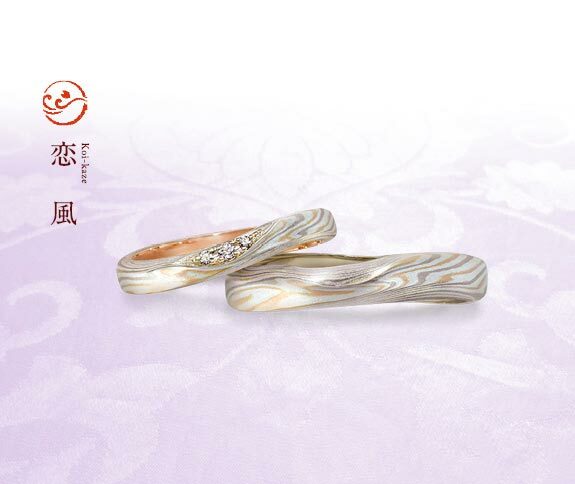 The addition of pink gold brings a soft and gentle touch to the Mokume. 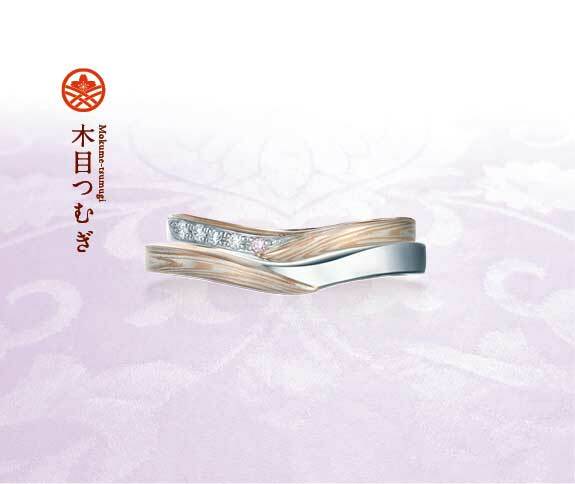 The “Tama-moku” pattern is reminiscent of wood grain, representing a long and full life with your partner. 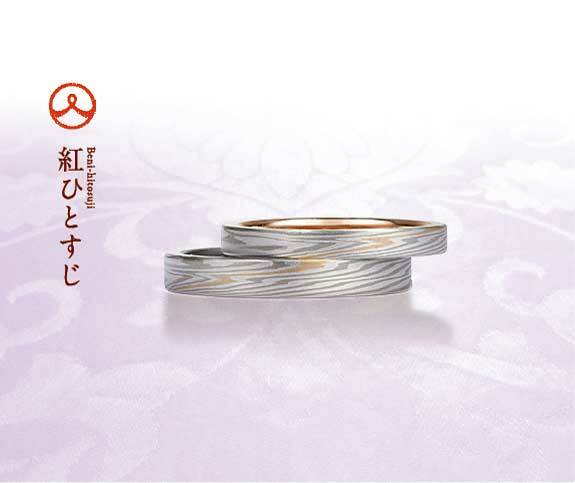 Seven different colors of metal are blended to create this wedding ring which embodies all the traditional beauty of Mokumegane. A ring with a brim running along the sides, created by curving the edges.